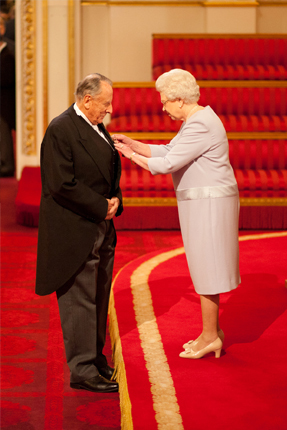 John Hall Spencer was awarded the Order of the British Empire OBE, by HM the Queen at an investiture at Buckingham Palace on 6 December 2011. John Hall Spencer was educated at Bedford School and the Royal Naval College, Greenwich. He had a regular commission in the Royal Marines before joining Beaverbrook Newspapers in Fleet Street, then J Walter Thompson in Berkeley Square for twenty-one years. 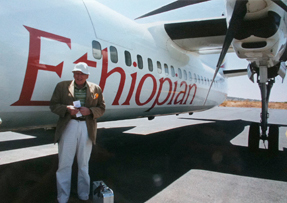 He then set up his own international marketing business in 1982. In 2011 he was awarded an OBE for services to Business, Charity and work with Young People in London. 'Battle For Crete' is something of a standard work - a swiftly moving account and the confusion of a soldier's battle - The Times and well documented, selective, pertinent, and soberly presented - Times Literary Supplement . It was published originally by Heinemann, then Presses de la Cite in Paris, and reprinted as a hardback in 2010 by Pen & Sword. Other published works include the study 'Hitler and the King' which won the Elma Dangerfield Literary Prize and novels which include 'The Wall is Strong' from Heinemann then paperback from New English Library and Mondadori, Milan. Following extensive research at first-hand in Rome and Berlin, 'Hitler and The Pope' is under way: Eugenio Pacelli, Pius XII, at once a candidate for sainthood on the one hand, and vilified for moral cowardice on the other, is one of history's most controversial characters. There are new US State Department documents, and fresh facts and perspectives on the Resistance to Hitler in Germany. Relations between the Army and the Catholic Church are of abiding fascination and have not been tackled before. A novel 'The Sins of Mayfair' is a story of contemporary High Society murder. 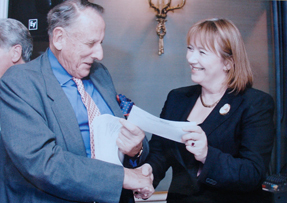 Baroness Symons of Vernham Dean, Chairman of the European Atlantic Group awarded John Hall Spencer the Elma Dangerfield Literary Prize 2009 at the Savile Club, London. 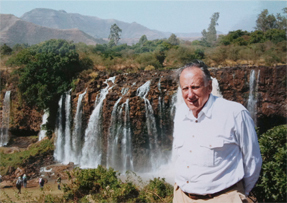 He is a Fellow of the Royal Geographical Society and travels widely to research the background to his books. Mussolini's conquest of Ethiopia is backgound to 'Hitler and The Pope', a story culminating in his dramatic rescue from Italian police custody by Otto Skorzeny.